Eiko, Ralph Samuelson (shakuhachi player), and Jake Price (filmmaker) came together on March 11, 2019 at the Cathedral of St. John the Divine to commemorate the anniversary of the Fukushima triple disaster in 2011. 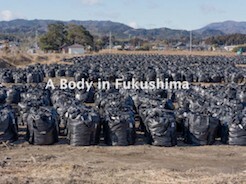 Ralph and Eiko performed, alone and together, and Jake shared his film work about Fukushima. This event happened concurrently with the Cathedral's exhibit called The Value of Sanctuary: Building a House Without Walls. 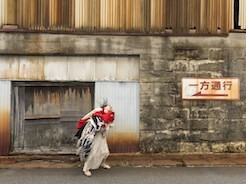 Before and after the event, audience members were invited to see the exhibition that included three works by Eiko.